My Mother-in-law, Geraldine Bovbjerg Vedder, was 100% Danish. We both shared a love for all things Christmas. I have a collection of Danish Nissemen. The one above is holding his giant porridge spoon. Here is a little more about him. A nisse considers porridge his due and is greedy for butter. 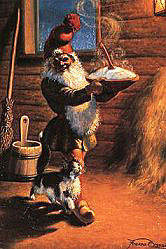 The legendWhen the Nisse Got No Butter on His Christmas Porridge illustrates the consequences of tampering with his porridge. You can read more here: The Legend of the Nisse or Tomte. My dear friend, Jill, celebrated Christmas the Nordic way too and loved all things ginger. 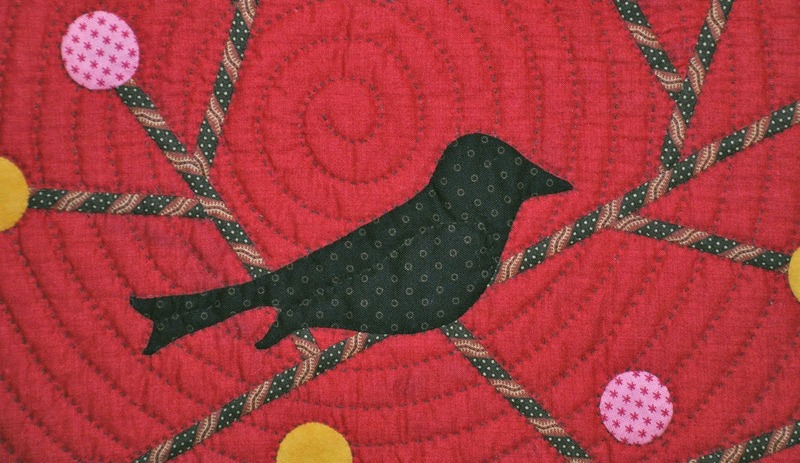 Here is a little quilt she made me. I just treasure it as I do our friendship. I miss her so much this time of the year. I think she'd love that I paired with my leg lamp this year. I'm late to the amaryllis party this year but finally got one potted up. Looks like I'm having twins. My cactus is blooming early and looks beautiful in the morning light. 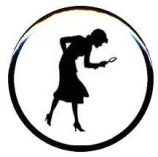 I've seen the little figure, but did not know the story behind it. Your collection is impressive. Note taken- put butter on the porridge... or else! I really appreciated this post. Hubby is of Danish heritage, but it appears they haven't celebrated in style. I will have to include some of the traditions you shared in our holiday this year. What a great quilt from Jill! "Fun" post as always, Barb! I found out only about 10 years ago that I am about 1/4 Danish. My grandmother was on the orphan train, so we didn't know her heritage until my cousin did the research - both parents were Danish. Love your Christmas cactus, Merry Christmas! Oh so festive! Absolutely love your nisse/tomte collection! 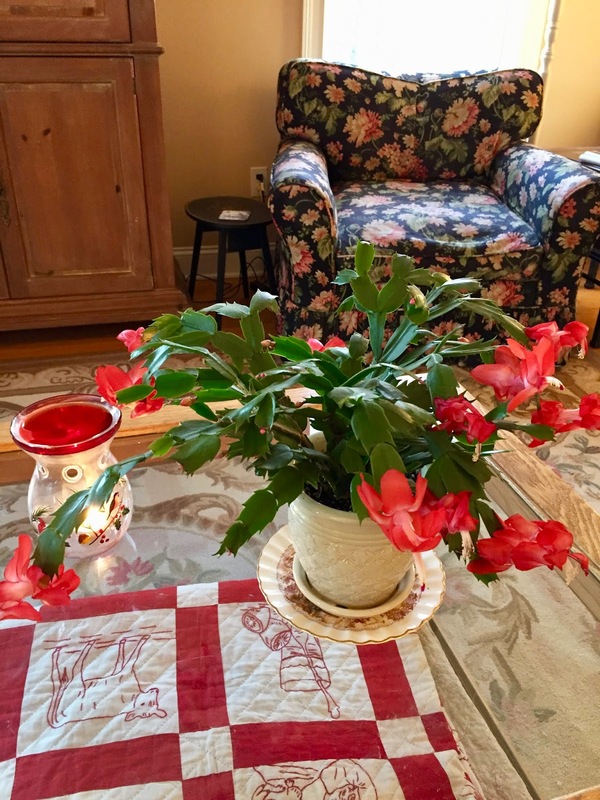 Jill's quilt is so sweet and is a wonderful remembrance of a truly gifted friend :) Your Christmas Cactus is fabulous. 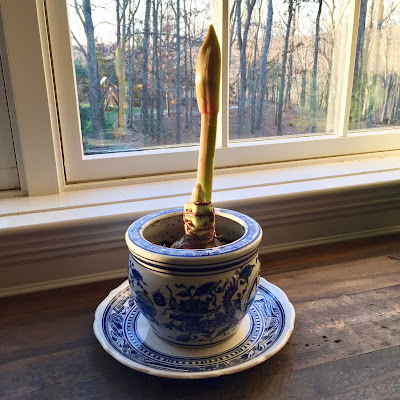 I finally bought a Poinsettia yesterday! 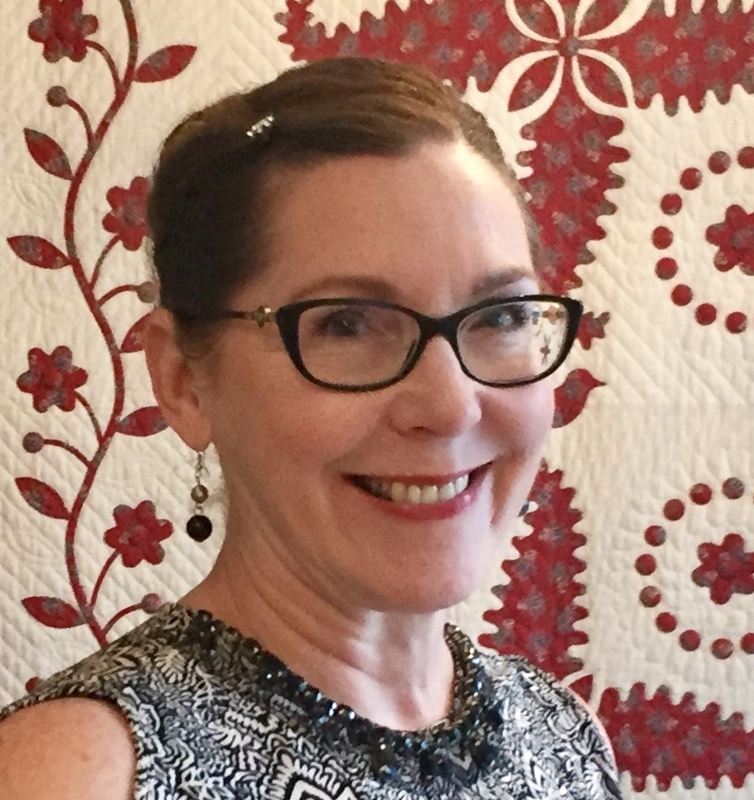 Hi Susan - Are you still blogging? I wanted to respond but you are a non-reply - I wish you a Merry Christmas! thanks for visiting. 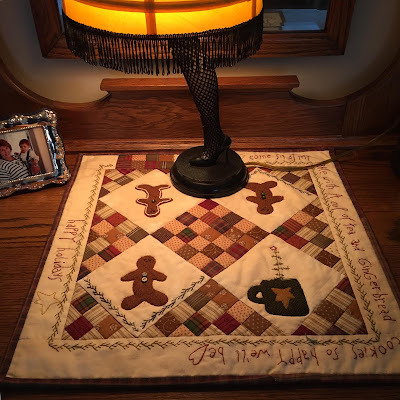 There are so many wonderful Christmas traditions. Love seeing your collections. 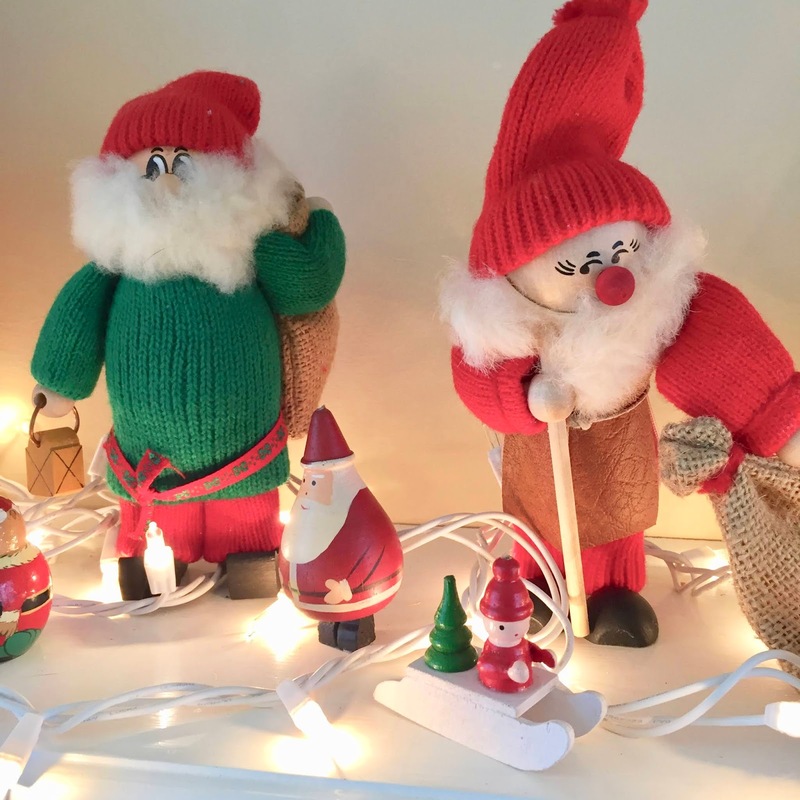 What a wonderful treat to see your Nisse collection! I was not familiar with the legend of the Nisse, so thanks for that! Those Santas in red are fun and I love them ! No Dickens village this year ? How Fun Barb! 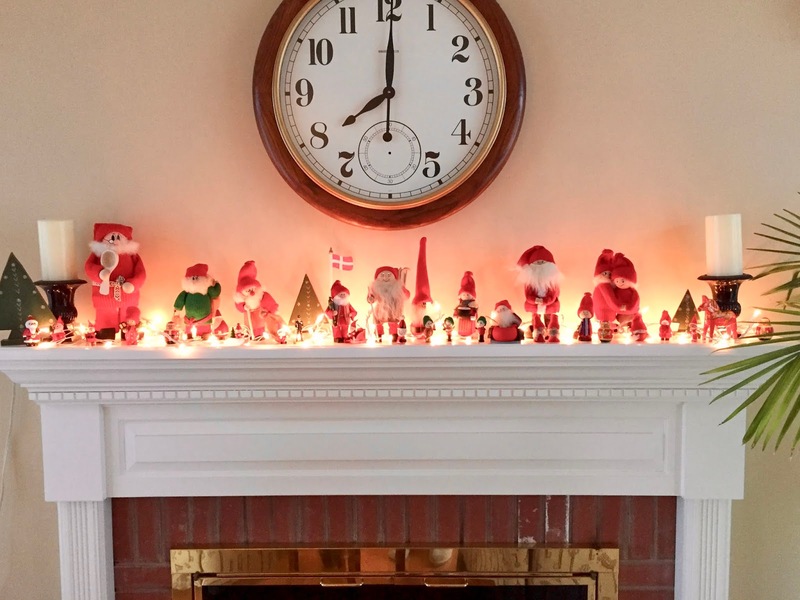 I LOVE that beautiful red mantle full of your little tomptens -- soooo cute! It makes me sad when I think of wht a loss Jill was for you. I barely met her and she was so sweet and kind to me. She sent me a little hexie magnet and it hangs on the door to our garage (only magnetic surface in our kitchen area ;-D) and I see it every day when I'm coming and going. How lucky you were to have known her! 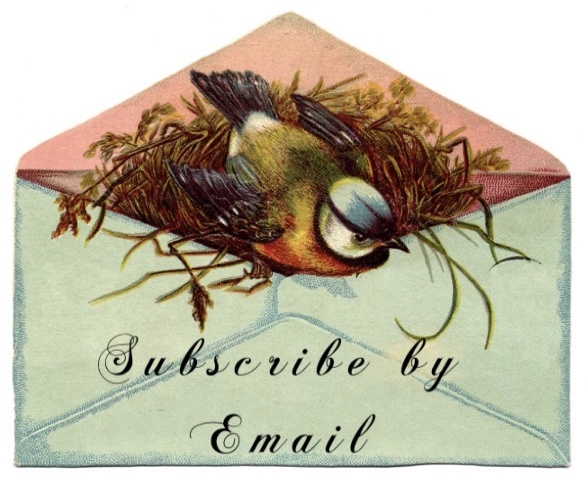 Have a great week -- the days are flying by! Thank you Barb for sharing. One of my grandmothers was Aymie Emelia Walburg, not sure which northern country she was from, but I imagine she knew about those sprites from her youth before she came to this country. 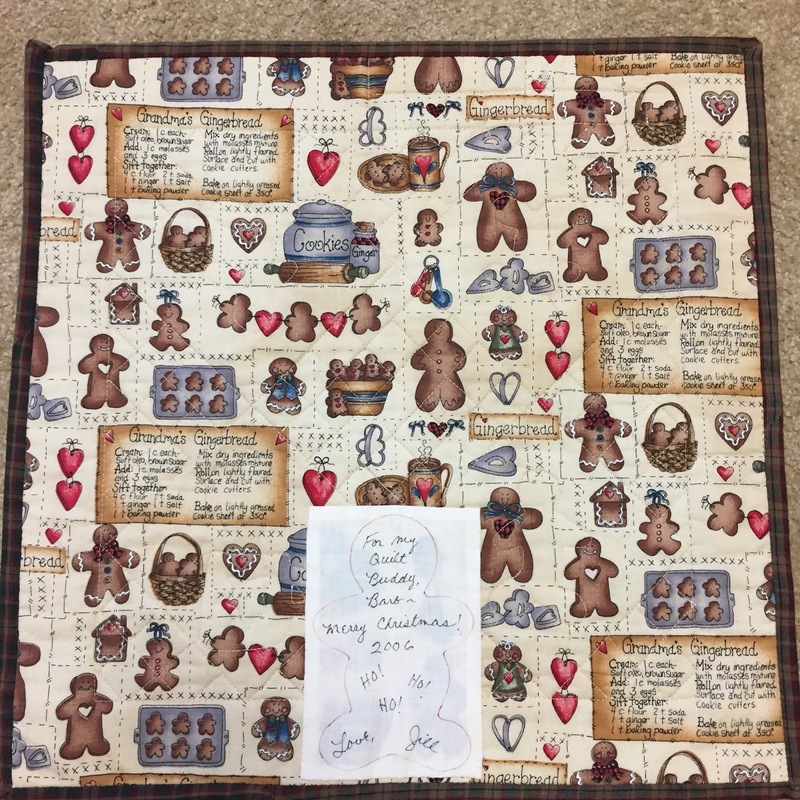 That Gingerbread quilt is so special! I really enjoy your holiday decorating posts throughout the year. They are always filled with special memories. 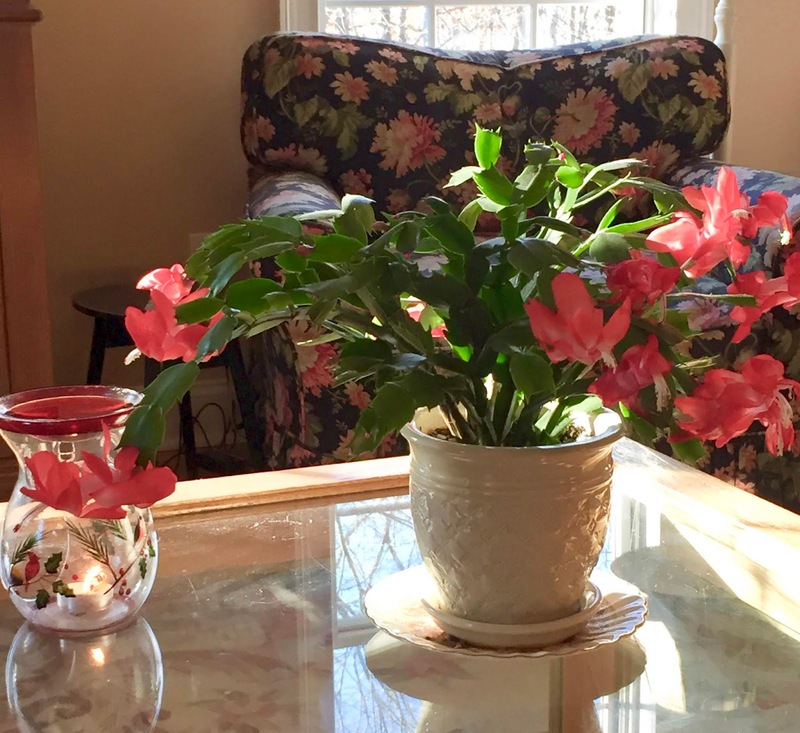 Your Christmas cactus is beautiful, on the red-work and on the coffee table! I have never had one, it's time to go buy one! I miss our dear friend too! Love your Danish decor. 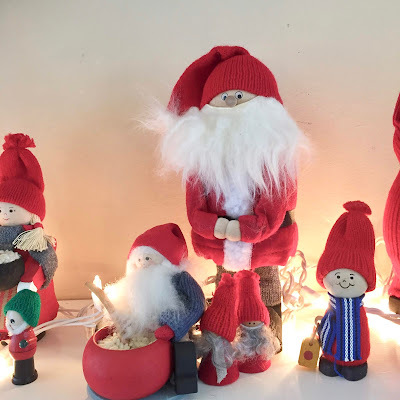 I have quite a few Nisse too! It's so nice that you have so many reminders of your good friend Jill. 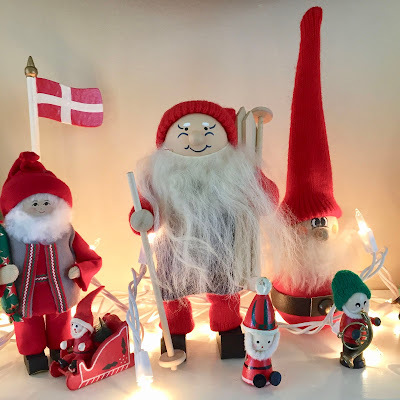 I have a Nisse from a Danish friend who is no longer with us and I smile and think of her every time I see it. Keep those Nisse's out of mischief at night! I hear they can really be naughty. Merry Christmas!! 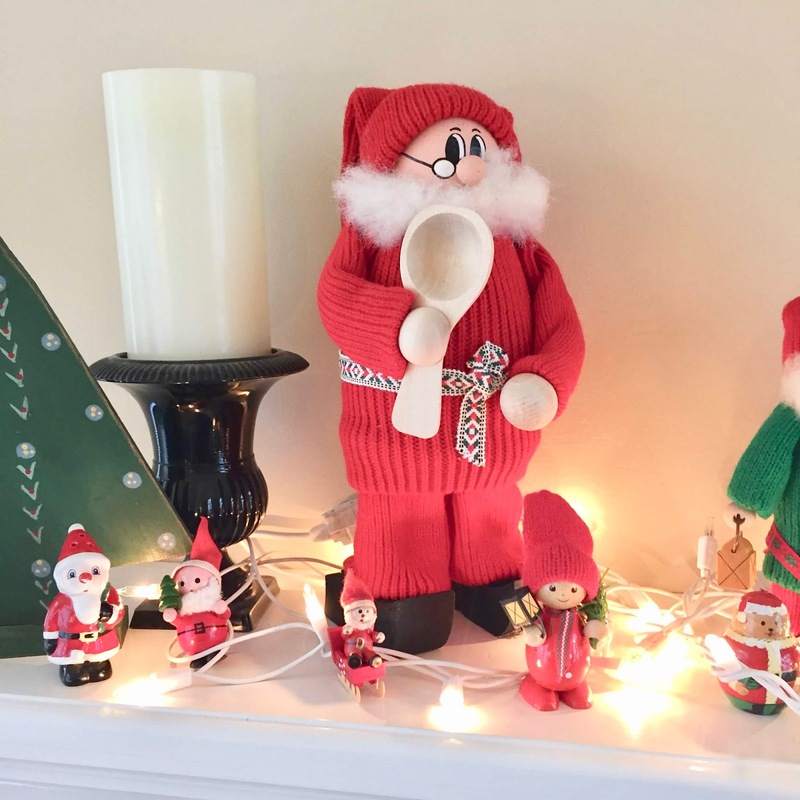 Your holiday decorations are so cheery! I love lots of red at Christmas. I'm sure Jill is smiling down at you! The decorations and the blooming flowers really make Christmas a special time! 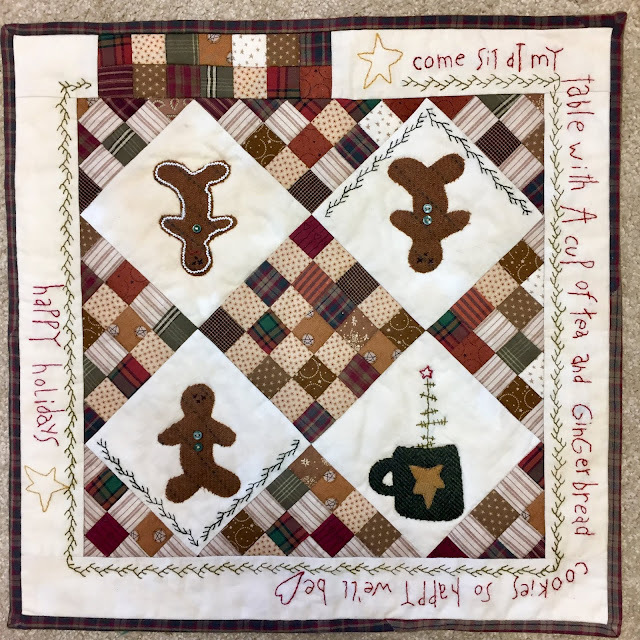 Love those little Christmas quilts as well. 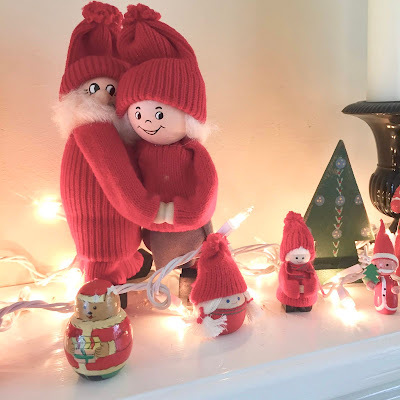 Thanks for sharing photos of your decor -- I love the nisse! Our mantel is lined with German nutcrackers. I always appreciate hearing from you - thanks for leaving a comment. 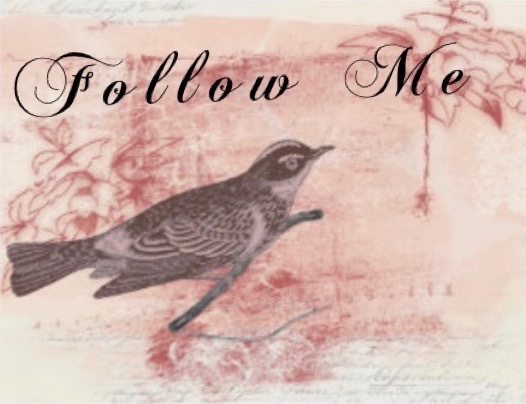 If you have a email associated with your profile I will respond through email.